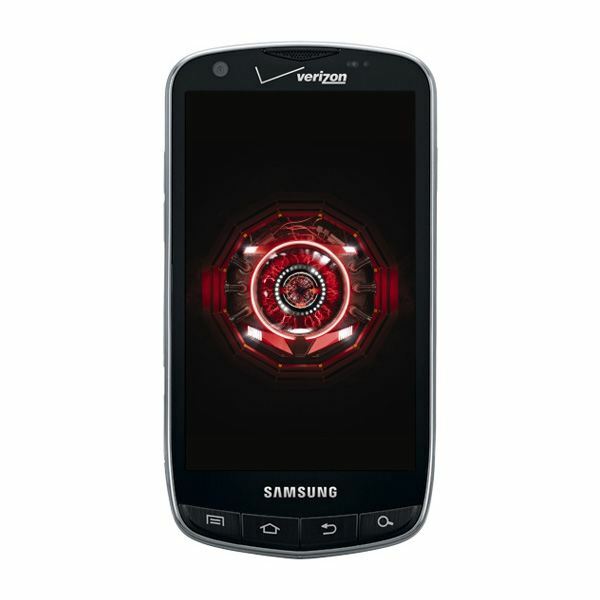 The Samsung Droid Charge is Verizon's second LTE compatible smartphone released to the market, following in the footsteps of the HTC Thunderbolt. In the Droid line up from Verizon, the Samsung Droid Charge is among the first from Samsung to enter the line up. Coming in at a price point of $300 after a two year contract, it's definitely on the expensive side of the spectrum. Like many of Samsung's previous smartphones, the Samsung Droid Charge features a Super AMOLED display but also unfortunately, the same hardware specs seem to have followed as well. This Samsung release comes in a slightly different design from other Android smartphones. It still retains the candy bar base shape, but it does have an added bit to the top and bottom, giving the Droid Charge an oval look. It is also on the slightly larger side due to the design that's used. When placed next to an HTC Thunderbolt or iPhone 4, the Droid Charge looks a bit on the massive side. The front of the phone is dominated by a 4.3 inch Super AMOLED screen, which comes off as vibrant and clear. The viewing angle for the Droid Charge is also very large thanks to the Super AMOLED technology being used. Below the impressive screen reside the now familiar shortcuts for menu, home, back and search. To the right edge there's the power / lock button and an HDMI out port, and opposite on the left edge is the volume rocker and the microUSB port. Up top resides the 3.5 mm headphone jack. Overall the design of this phone is like a merger between a Samsung Galaxy S and a Samsung Gem. The Samsung Droid Charge falters slightly when it comes to hardware and software. While the hardware is nothing to be scoffed at, it does feel like it's slightly behind the newer dual core smartphones making their appearance. This same Hummingbird processor can be found on the Samsung Fascinate that was released much earlier this year on Verizon. Running on this 1 GHz processor is a preloaded version of Android 2.2 with Samsung's proprietary overlay, TouchWiz running on top. Once again, a slight disappointment considering Android 2.3 is now well on its way through newer smartphones. From an internal storage standpoint, the Droid Charge offers only 2 GB of internal storage though it does have a microSD slot, allowing the space available to be boosted by up to 32 GB. Overall, the Samsung Droid is a slight disappointment when it comes to hardware and software. Compare the Samsung Fascinate or Samsung Continuum on Verizon's network with the Droid Charge and the only major difference is that the Droid Charge can use Verizon's new LTE 4G network. The Samsung Droid Charge, like all other Android powered smartphones, is easy to pick up and use due to it being a touchscreen interface. The touchscreen gestures are easy to understand for people of all ages. Samsung has gone ahead and added TouchWiz UI on top of Android which is a bit polarizing. There are those who like, or even love, third party proprietary overlays, while others prefer stock Android. TouchWiz gives the phone a slightly less Android feel and more of an iOS feel. The downside to having a proprietary overlay is that future updates to Android do not arrive soon enough or require a bit more manual user intervention to install. The Samsung Epic 4G had an 'epic' failure trying to update to Android 2.2, while the other variants of the Samsung Galaxy S required updating through Samsung Kies. The majority of smartphone users most likely prefer an over the air update and would rather not have to install software, plug in a device, go through some steps and wait for the phone to restart. It's a slight disappointment that Samsung has been rather slow in getting updates out to their Android powered smartphones. 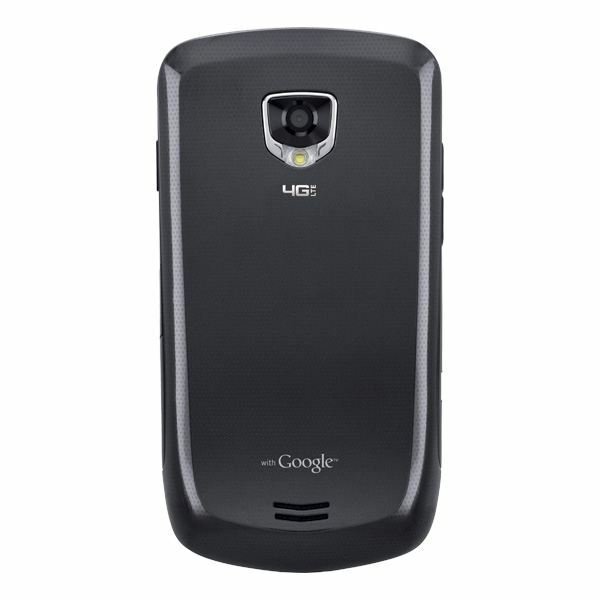 The Droid Charge, first and foremost, is an LTE smartphone, meaning it has the ability to access the 4G network from Verizon. While some may not consider this a feature, it actually is quite a jump in network speed. The Droid Charge can also share this network with to up to 10 devices by becoming a mobile hotspot, which is another great little feature, though it does come at a cost. Utilizing this new 4G network, the Droid Charge can also be used for video chatting with its 1.3 megapixel front facing camera, which is yet another good addition. Rounding out the back is the 8 megapixel camera, which competes against the T-Mobile G2x, not only in megapixels but also in the fact that it can record in 1080p. Not only can the Samsung Droid Charge record in 1080p, but it has an HDMI out, allowing the video to be played out to an HDTV in full 1080p. The video when output onto an HDTV was smooth with no lag and surprisingly very vibrant. The final feature is the fact that the phone runs on Android 2.2, meaning it has access to Adobe Flash as well as application stores, including the Android Market. This means the Droid Charge, like all other Android powered smartphones, has access to well over 200,000 apps — a mixture of free and paid applications. Overall the feature set on the device is quite impressive, though it would have been preferred if Verizon had added in one or two extras to make the Droid Charge stand out a bit more. Overall the Samsung Droid Charge ranks in with an 'Average' ranking. While the design, display, and features of the phone are great, the hardware and software is definitely where it begins to disappoint. When looked upon closely, the hardware and software is very much like the aforementioned Samsung Fascinate and Samsung Captivate. In a sense, it's the specs of an older phone with a new shell and a better camera, which makes the steep $300 price with a 2 year contract a bit hard to swallow. Overall, it's a good smartphone to go after but there are better smartphones on the market.